Life is just peachy unless your tree has a virus. 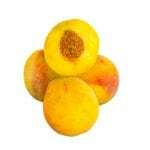 Peach mosaic virus affects both peaches and plums. There are two ways the plant can become infected and two types of this disease. Both cause significant crop loss and plant vigor. The disease is also called Texas mosaic because it was first discovered in that state in 1931. Mosaic virus on peaches is not common but is very serious in orchard situations. 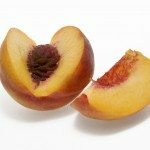 Keep reading to learn more about peaches with mosaic virus. Peach trees can develop numerous diseases. Peach Texas mosaic virus stems from a vector, Eriophyes insidiosus, a tiny mite. 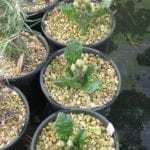 It can also occur during grafting where infected plant material is used as either the scion or the rootstock. The symptoms are fairly obvious once you know what signs to watch for, but once a tree has the disease there are no current treatments. The two types of peach mosaic virus are hairy break and plum. The hairy break mosaic is the type to watch for in peaches. 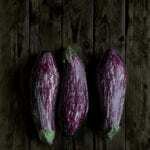 It is also called Prunus mosaic virus. It has infected the southern part of the United States and spreads easily without treatment to eradicate mites. Modern grafting has mostly cleared the virus from grafting procedures with certified disease-free root and scion material. When the disease was first discovered, a 5-year period of tree removal commenced in southern California, where over 200,000 trees were destroyed. Of the types of peach trees, the freestone cultivars are the most damaged, while clingstone types seem to be slightly resistant to mosaic virus of peach. 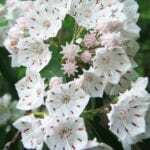 Early in spring, blossoms will be seen to have streaking and color break. New limbs and shoots are slow to form and are often misshapen. There is a delay in leafing and leaves produced are small, narrow and mottled with yellow. Occasionally, the infected areas fall out of the leaf. Oddly, once temperatures climb, much of the chlorotic tissue will disappear and the leaf will resume its normal green color. The internodes become short and lateral buds break. Terminal twigs have a whorled appearance. Any fruit produced is small, lumpy and deformed. Any fruit that does ripen is much slower than uninfected fruit and the flavor is inferior. Unfortunately, there is no treatment for this disease. Trees can survive for several seasons but their fruit is not useable, so most growers opt to remove them and destroy the wood. 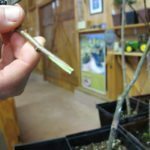 Because the infection spreads during grafting, sourcing good budwood is extremely important. New trees should be treated with a miticide to control any of the possible vectors. Avoid injury to trees and provide good cultural care so they can survive an initial attack but over time the tree will decline and have to be removed.